Is this the kind of father you want to be? A nurturing parent who clearly understands and accepts the importance that his parenting skills have in developing the physical, emotional, intellectual, social, spiritual, and creative needs of his children. 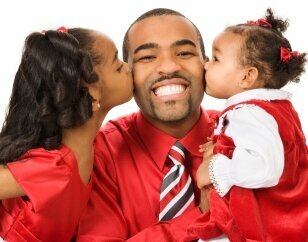 A positive role model who works to build and maintain healthy and supportive relationships with his children. A father who understands the unique contributions he brings to raising his children (i.e., the difference between “fathering” and “mothering”). Aware of himself as a man and aware of the significant impact he has in his family. In touch with his capabilities, his strengths, his limitations, his moods, and his feelings. A man who takes care of himself: gets annual physicals, eats the proper foods, exercises to stay in shape, has a strong spiritual connection with his community, and chooses friends who reinforce his healthy choices. 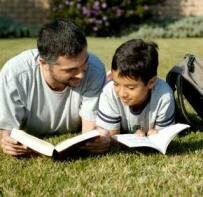 All of our programs have one goal: Help you become the best father you can be. Our programs help men develop the attitudes, knowledge, and skills they need to get - and stay - involved with their children. There is no cost to attend these programs. To participate, simply complete the registration form. To participate in any of these programs, you must live in Medina, Portage, Stark, Summit, or Wayne counties. You must be at least 16 years old and have a desire to be more involved in your children's lives. You do NOT have to have custody in order to participate. 24/7 Dads™ includes a basic fathering program (24/7 Dads A.M.™) geared towards younger, inexperienced fathers, and a more in-depth program (24/7 Dads P.M.™) for more mature fathers. Each program stands on its own as a complete program that includes pre and post-assessment evaluation tools. 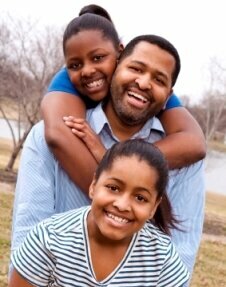 Some fathers who complete the 24/7 Dads A.M.™ program may want to transition into the 24/7 Dads P.M.™ program. Both the 24/7 Dads A.M.™ and 24/7 Dads P.M.™ programs focus on five characteristics that a father needs to be a great dad 24 hours a day, 7 days a week. Each consists of 12 two-hour sessions and both programs cover universal aspects of fatherhood so that men of all cultures, races, religions, and backgrounds can benefit from either program. At the end of each program, fathers and mothers come together to discuss the developments the father has gone through and how it has affected their relationship and family life. When a father completes either program, he becomes a "24/7 Dad." For more information and to set up your session, call 330.873.9794 or email [email protected]. Be sure to ask about the survey and what you will need to do so that you and members of your group can earn a FREE George Foreman Grill. This one-day class prepares experienced fathers to coach new or expectant dads. This specialized program prepares incarcerated fathers for re-entry, with special focus on repairing and/or strengthening their relationships with their children. Participants who are unemployed or under-employed can attend the job search component or will be referred to the One Stop. Fame Fathers provides referrals for OJT, GED, diploma, counseling, and other resources to meet specific individual needs. Activities to strengthen the support base of significant others will continue throughout the process. 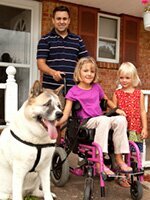 Sometimes families need special help. We work closely with community service organizations throughout the area to connect the families with the social services that can help them most. We will motivate fathers to embrace the values and responsibilities of mainstream society through regular employment, making child support payments, and working with the mothers of their children for the children’s benefit. Both non-custodial and custodial fathers will receive support and advocacy to address court issues related to back child support while providing for resolution.